Draft: 2003, Seattle Mariners, 6th rd. He and his wife Heather have one son, Mac. Returned to the Atlanta organization after a 3/27 trade with Pittsburgh...Made his eighth Opening Day roster...Had two separate stints on the disabled list...Missed 27 games, 6/12-7/16, with a right knee strain and then went back on the DL with a season-ending left elbow injury, 8/19...Underwent left elbow ulnar nerve decompression on 8/25...Dr. James Andrews performed the operation in Gulf Breeze, Fla...Compiled a 1.50 ERA in six rehabilitation games with Gwinnett (AAA), Rome (A) and the rookie-level GCL Braves...Lefties went 19-for-66 (.288) against him with five doubles, a triple, two walks and a home run...Made his first MLB error, 8/14...Began his career with 471 error-free games. Was 1-0 with a save and a 2.25 ERA in 21 games with the A's in his comeback from May 21, 2013 Tommy John surgery…struck out 15 and walked just four for a strikeout-to-walk ratio of 3.75…surrendered a career-high tying three home runs (also 2012)…allowed a .205 opponents batting average, including .186 (8-for-43) against right-handed hitters compared to .233 (7-for-30) against left-handers… did not allow an extra-base hit to a left-hander…righties slugged .419…has not allowed a home run to a left-handed hitter since Aug. 14, 2011 against Chicago-NL (Carlos Pena)…issued three of his four walks to lefties…his career splits are .202 (106-for-524) against left-handers, .265 (195-for-735) against right-handers…yielded a .107 batting average with runners on base compared to .267 with the bases empty…all three of the home runs he allowed were solo shots…opponents batted .067 with runners in scoring position and were 0-for-8 with RISP and two outs…has allowed a .162 (35-for-216) average with RISP over the last five years…allowed two runs over his first three games (6.00 ERA), none over a 12-game stretch from July 18 to August 25 (11.1 ip) and three over his final six appearances (4.76 ERA)…stranded all five of his inherited runners and has allowed just 50-of-220 (22.7%) inherited runners to score in his career…that is the eighth lowest percentage among relievers active in 2014 with 150 or more inherited runners…first batters faced were 2-for-19 (.105) with no extra base hits, a walk and sacrifice (.150 on-base percentage)…did not allow a run in 11 appearances in Oakland (9.1 ip) and held the opposition to a .118 batting average…had a 4.22 ERA and .282 opponents average in 10 games on the road…also did not surrender a run in six games during the day (6.0 ip)…has not allowed a run in his last 34 contests during the day (31.0 ip) dating back to Aug. 25, 2011…had a 1.35 ERA in seven appearances on one day rest, a 2.70 ERA in 14 games with two or more days rest…did not pitch on backto- back days in 2014…allowed a .073 batting average with two strikes…opponents are 5-for-65 (.077) with two strikes over the last two years…did not yield a run in the seventh (3.0 ip) or eighth inning (4.2 ip)…did not commit an error in 21 games and has not made an error in 56 career total chances…his 394 games pitched are the most among active pitchers that have not made an error…tossed at least one inning in 17 of his 21 outings. OAKLAND: Began the season on the 60-day disabled list as he continued his recovery from Tommy John surgery…started his rehab assignment with Single-A Stockton June 6 against High Desert (1.0 ip, 3 so)…was transferred to Triple-A Sacramento June 11 and had a loss and a 4.32 ERA in seven games with the River Cats…was reinstated from the DL July 3 and made his A's debut July 4 against Toronto (1.0 ip, 1 h)…it was his first Major League appearance since May 17, 2013 against Los Angeles (NL)… also tossed a scoreless inning July 6 against the Blue Jays before posting season highs in runs (2), hits (3) and strikeouts (2) July 9 at San Francisco…then had a season-high 11.1-inning scoreless streak from July 18 to Aug. 25…yielded just five hits over that stretch for a .128 opponents batting average…was credited with his first win of the season July 18 against Baltimore to extend his winning streak to a career-high eight games dating back to Sept. 14, 2011…has not been charged with a loss since Aug. 14, 2011 against Chicago (NL)…tossed a season-high 1.1 innings in three consecutive outings: July 20 against Baltimore and July 25 and 27 at Texas…matched his season high with two strikeouts July 30 at Houston…posted a 1.42 ERA in eight appearances in August…was credited with the first and only save of his career Aug. 27 at Houston, despite allowing a solo home run to Chris Carter in the A's 5-4 win… that started a season-ending stretch where he allowed three runs over his final six games, all on solo home runs (4.76 ERA)…was charged with the blown save Sept. 8 at Chicago (AL) when he allowed the game-tying two-out home run in the bottom of the ninth to Flowers…made his final appearance of the season Sept. 20 against Philadelphia (0.2 ip, 1 so)…did not pitch in the A's final eight games. Went 3-0 with a 2.50 ERA in 19 games in his final season with Atlanta in a season that ended in mid-May with an elbow injury … underwent "Tommy John" surgery on his left elbow May 21…allowed a .188 opponents batting average, including .143 (3-for-21) by left-handed hitters compared to .209 (9-for-43) by right-handers … yielded two home runs, both by righties … has not allowed a home run to a left-handed hitter since Aug. 14, 2011 against Chicago-NL (Carlos Pena) … issued four of his five walks to righties … now has a .200 (99-for-494) career average against lefties, .270 (187-for-692) against righties … has held lefties to a .156 (28-for-179) average over the last three years … opponents went 1-for-14 (.071) with runners in scoring position and they are now batting .169 (34-for-201) with RISP over the last four years … first batters faced were 2-for-16 (.125) with three walks (.263 on-base percentage) … allowed 2-of-6 (33.3%) inherited runners to score … did not allow a run in four day games (3.1 ip) and has not allowed a run in his last 28 contests during the day (25.0 ip) dating back to Aug. 25, 2011…had a 3.07 ERA in 15 appearances at night … compiled a 1.64 ERA in 11 games on the road compared to a 3.86 ERA in eight outings at home … has a 0.90 ERA (8 er in 79.2 ip) in 84 road games over the last three years…did not allow a run in his one interleague appearance … is now 4-1 with a 1.98 ERA (6 er in 27.1 ip) in 35 career interleague games…has not allowed a home run. ATLANTA: Tossed a season-high 1.0 inning in his first outing April 1…17 of his 19 appearances were exactly 1.0 innings …collected three wins over a six-game stretch from April 6 to 16…that extended his winning streak to a career-high tying seven games dating back to Sept. 14, 2011…struck out a seasonhigh two batters April 16 against Kansas City and April 29 against Washington…had a 1.54 ERA, .150 opponents batting average and no home runs allowed in 12 games and 11.2 innings in the month of April…then posted a 4.26 ERA, .250 opponents batting average and yielded two home runs in 6.1 innings in seven games in May…was placed on the disabled list May 18 with a strained left elbow…had "Tommy John" surgery on the elbow May 21 and missed the remainder of the season. Went 3-0 with a 1.73 ERA in 64 games with Atlanta…ranked third among National League relievers in ERA…allowed just 1-of-22 (4.5%) inherited runers to score, which was the best mark in the majors among pitchers with 20 or more inherited runners…using the same minimum, it matched the second best mark in Braves history … had a 2.87 ERA in 35 games before the All-Star Break … allowed just two runs, one earned, in 29 games and 26.0 innings after the break for a 0.35 ERA…allowed a .229 opponents batting average, including .113 against left-handed hitters compared to .291 against righthanders … did not allow an extra base hit to a lefty (righties slugged .403) … opponents hit .284 with the bases empty, .175 with runners on…including .169 with runners in scoring position…did not allow a run in 19 games and 17.0 innings during the day, holding the opposition to a .155 batting average … had a 2.45 ERA and .259 opponents average in 45 appearances at night…compiled a 0.83 ERA in 35 games on the road compared to a 2.92 ERA in 29 appearances at home…lowered his ERA each month, posting a 4.91 ERA in April, 3.18 in May, 1.86 in June and 0.90 in July…did not allow an earned run in August (8.1 ip), September (9.2 ip) or October (1.0 ip)…first batters faced went 15-for-61 (.246) with three walks (.281 on-base percentage)…posted a 2.37 ERA in 44 games on two days rest or fewer, a 0.47 ERA in 20 games on three days rest or more…did not allow a run in 13 games against NL West competition (10.1 ip)…did not allow a run in his first two games, extending his scoreless streak to a career-high 21.1 innings dating back to Aug. 16, 2011 … allowed 1-of-2 inherited runners to score in his second appearance of the season April 10 at Houston…then stranded each of his 20 inherited runners over his final 62 games … allowed eight runs over a 10-game stretch from April 11 to May 7 (7.71 ERA)…then logged a 0.58 ERA over his final 52 contests…struck out a season-high four batters in a season-high 1.2 innings May 13 at St. Louis … allowed his final earned run of the season in his first game after the All-Star Break July 13 against New York (NL) … finished the season with a 28-game, 25.0-inning streak without an earned run…surrendered his final run of the season Aug. 22 at Washington …finished the year with a 14-game, 12.2 inning scoreless streak…made one postseason appearance in the Wild Card Game against St. Louis Oct. 5 (1.0 ip, 2 h). Led all Major League relievers with a 0.98 ERA and his 32 holds tied for sixth...His season ERA ranked as the lowest in Major League history of any pitcher with 75 or more appearances...Entered 9/7's 1-1 game at PHI in the sixth inning with two runners on and two outs. Hit his first batter faced(Chase Utley) to load the bases, before striking out Ryan Howard to get out of the jam...Surrendered an earned run in 1.1 innings of work in 8/7's appearance at NYM, snapping his consecutivescoreless appearance streak at 26 appearances. During that stretch of consecutive scoreless appearances,he recorded 12 holds and 20 strikeouts in 23.0 IP...Recorded two outs in 7/20's ninth inning at COL before a Martin Prado (3B) fielding error, int. BB, followedby an RBI-single handed him his third loss. The run allowed (UER) marked his first given up since 6/7. Appeared in 56 games and posted a career-best 2.45 ERA. ... Entered 9/7's game at PIT in the seventh inning and gave up a two-run homer to the first batter he faced.It was just his second homer allowed in 2010. ... Was on the 15-day disabled list from 7/10-8/20 with mononucleosis. ... Made three rehabilitation appearances with Gwinnett (AAA) and tossed 4.0 scoreless innings while fanningfive and allowing only one hit. ... Appeared in 15 games after being activated from the DL (on 8/20) and went 0-2 with a 2.84 ERA over 12.2innings pitched. 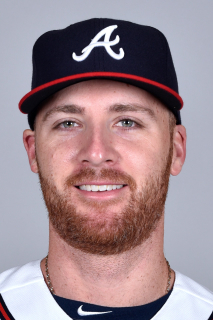 Worked in 78 games (9th in the Majors) and retired 58 of 78 first batters faced...Posted career highs in games and innings pitched (56.1)...Struck out a season-high three batters on 5/21 COL...At Turner Field, went 2-0 with a 2.18 ERA in 33.0 innings and 0-1 with a 4.24 ERA in 23.1 IP on the road. Made first career Opening Day roster with Seattle and went 0-1, 20.25 (15 ER, 6.2 IP) in seven reliefappearances....Recorded the loss 4/7 at BAL, allowing a solo HR to Aubrey Huff....Allowed nine hits and nine runs over his last two outings, including a career-high six runs in 2.2 IP on 4/13vs. LAA....Left-handed batters hit .500 (8-for-16) and right-handers batted .421 (8-for-19) off him. Overall opponentshit .457 (16-for-35)....Optioned to West Tennessee (AA) on 4/14. Made one appearance at West Tenn (2.0 IP, 1 H, 2 K) beforegoing to Tacoma (AAA)....Went 1-0-2, 4.96 (9 ER/16.1 IP) in 14 relief appearances for the Rainiers....Was placed on the disabled list 6/11 with a lower back strain. Went 7-1, 4.47 (26 ER, 52.1 IP) in 56 relief appearances ... Among Mariners relievers, ranked first inwins, fourth in innings, fifth in games and sixth in strikeouts (36) ... Tied for AL lead among rookie relief pitchersin wins (7) and 12th with 36 strikeouts...Recalled to Seattle on 4/20 and remained with the team the restof the season ... Had a career-high seven-game win streak, 5/4-8/1, becoming the first Mariners pitcher to startcareer off with a 7-0 record...Broke previous record held by Julio Mateo in 2004 when he started his career5-0...Longest win streak by a Mariners pitcher in '07...Limited opponents to a .232 average (45-for-194),including a .183 (17-for-93) clip vs. lefties ... Allowed only one extra base hit to a left-handed batter (triple byJ.D. Drew) ... Notched first career ML win 5/4 at NYY, allowing one run on four hits in 2.1 innings...Led all MajorLeague relief pitchers with four wins in June ... Went 4-0 with a 2.19 ERA (3 ER, 12.1 IP) in 14 appearances. O'Flaherty made his Major League debut on Aug. 16 against Oakland after he was selected from Triple-A Tacoma earlier in the day. The left-hander posted a 4.09 ERA in 15 relief appearances for the Mariners. His ERA is a little deceiving as he allowed all of his runs in four of his 15 appearances. O'Flaherty started the season with Class A Inland Empire before he was promoted to Double-A San Antonio and Tacoma. Spent second season with Wisconsin (A), appearing in 45 games in relief...Picked up first careersave on 4/7...Did not allow an earned run in 17 of his last 19 games, going 3-2 with seven saves and a 0.96ERA (3 ER, 28.1 IP), 7/11-9/4...Named Wisconsin's Most Valuable Pitcher by the Seattle Mariners. Spent season with Wisconsin, making 12 starts...Placed on the disabled list for the remainder of theseason on 6/11 with muscle strain in his lower back. Began pro career with Peoria (Rookie), appearing in 13 games (one start)...Went 3-0 with a 1.19ERA and 18 strikeouts in 12 relief appearances...Recorded first career win on 7/9, throwing 1.1 scorelessinnings of relief...Promoted to Everett on 8/26, appearing in three games (one start)...Named Peoria's MostValuable Pitcher by Seattle. July 21, 2017 Atlanta Braves released LHP Eric O'Flaherty. June 11, 2017 Atlanta Braves placed LHP Eric O'Flaherty on the 10-day disabled list. Left shoulder rotator cuff tendinitis. June 2, 2017 Atlanta Braves activated LHP Eric O'Flaherty from the 10-day disabled list. May 27, 2017 Atlanta Braves sent LHP Eric O'Flaherty on a rehab assignment to Gwinnett Braves. April 2, 2017 Atlanta Braves selected the contract of LHP Eric O'Flaherty from Gwinnett Braves. January 25, 2017 LHP Eric O'Flaherty assigned to Gwinnett Braves. December 22, 2016 Atlanta Braves signed free agent LHP Eric O'Flaherty to a minor league contract and invited him to spring training. November 3, 2016 LHP Eric O'Flaherty elected free agency. November 3, 2016 Atlanta Braves activated LHP Eric O'Flaherty from the 60-day disabled list. September 1, 2016 Atlanta Braves transferred LHP Eric O'Flaherty from the 15-day disabled list to the 60-day disabled list. August 2016 left elbow surgery. August 19, 2016 Atlanta Braves placed LHP Eric O'Flaherty on the 15-day disabled list retroactive to August 18, 2016. Left elbow neuritis. July 16, 2016 Atlanta Braves activated LHP Eric O'Flaherty from the 15-day disabled list. July 14, 2016 Atlanta Braves sent LHP Eric O'Flaherty on a rehab assignment to Gwinnett Braves. July 4, 2016 Atlanta Braves sent LHP Eric O'Flaherty on a rehab assignment to Rome Braves. July 2, 2016 Atlanta Braves sent LHP Eric O'Flaherty on a rehab assignment to GCL Braves. June 13, 2016 Atlanta Braves placed LHP Eric O'Flaherty on the 15-day disabled list. Right knee strain. March 27, 2016 Pittsburgh Pirates traded LHP Eric O'Flaherty to Atlanta Braves for cash. February 11, 2016 Pittsburgh Pirates signed free agent LHP Eric O'Flaherty to a minor league contract and invited him to spring training. November 2, 2015 LHP Eric O'Flaherty elected free agency. October 9, 2015 New York Mets reassigned LHP Eric O'Flaherty to the minor leagues. August 5, 2015 New York Mets activated LHP Eric O'Flaherty. August 4, 2015 Oakland Athletics traded Eric O'Flaherty and cash to New York Mets for Player To Be Named Later. August 1, 2015 Oakland Athletics designated LHP Eric O'Flaherty for assignment. June 2, 2015 Oakland Athletics activated LHP Eric O'Flaherty from the 15-day disabled list. May 30, 2015 Oakland Athletics sent LHP Eric O'Flaherty on a rehab assignment to Stockton Ports. May 27, 2015 Oakland Athletics sent LHP Eric O'Flaherty on a rehab assignment to Nashville Sounds. October 2, 2014 Oakland Athletics activated LHP Eric O'Flaherty. September 30, 2014 Oakland Athletics reassigned LHP Eric O'Flaherty to the minor leagues. July 3, 2014 Oakland Athletics activated LHP Eric O'Flaherty from the 60-day disabled list. June 11, 2014 Oakland Athletics sent LHP Eric O'Flaherty on a rehab assignment to Sacramento River Cats. June 6, 2014 Oakland Athletics sent LHP Eric O'Flaherty on a rehab assignment to Stockton Ports. January 22, 2014 Oakland Athletics signed free agent LHP Eric O'Flaherty. October 31, 2013 Atlanta Braves activated LHP Eric O'Flaherty from the 60-day disabled list. July 21, 2013 Atlanta Braves transferred LHP Eric O'Flaherty from the 15-day disabled list to the 60-day disabled list. May 2013 Tommy John surgery. May 18, 2013 Atlanta Braves placed LHP Eric O'Flaherty on the 15-day disabled list. Left elbow strain. October 13, 2010 Eric O'Flaherty roster status changed by Atlanta Braves. October 13, 2010 Atlanta Braves activated LHP Eric O'Flaherty. October 6, 2010 Atlanta Braves reassigned LHP Eric O'Flaherty to the minor leagues. August 20, 2010 Atlanta Braves activated LHP Eric O'Flaherty from the 15-day disabled list. August 13, 2010 sent LHP Eric O'Flaherty on a rehab assignment to Gwinnett Braves. July 15, 2010 Eric O'Flaherty roster status changed by Atlanta Braves. July 10, 2010 Atlanta Braves placed LHP Eric O'Flaherty on the 15-day disabled list.